Queenstown is a must-visit on any South Island trip. It is lively and charming hotspot situated in a beautiful mountainous surrounding, and there is something there to appeal to everyone. Whether you crave adventure, meeting new people, or indulging in top quality food and drinks, we have you covered, with the top 5 things you should do when you visit Queenstown. Queenstown is a traveller’s and a foodie’s hotspot, and one of its biggest drawcards is the variety and quality of food options available in town. You can indulge in anything from hearty winter meals to organic summer salads, so get ready for a journey for your taste buds. 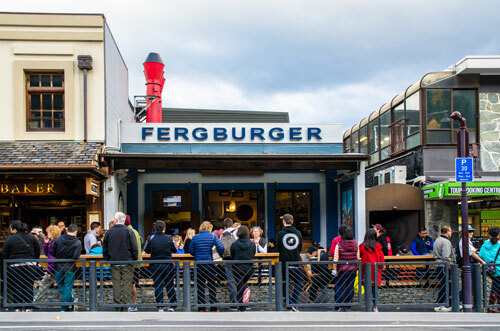 The famous Ferg Burger is a must-try on many foodie’s bucket lists, but if you aren’t into queuing up, try the just as good Devil Burger instead. For modern Malaysian inspired cuisine, head to Madam Woos for dinner and try their delicious roti and laksas. If vegan dishes and fresh smoothies are more your thing, don’t miss Bespoke Kitchen for a wholesome brunch and coffee. 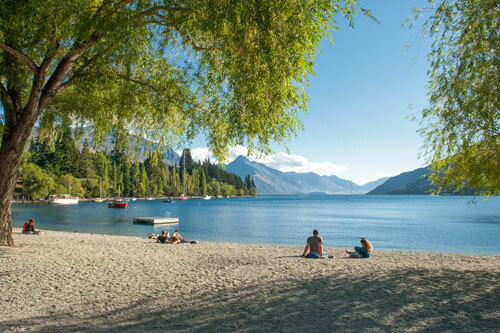 Queenstown is set within spectacular lakes and a picturesque mountain backdrop. 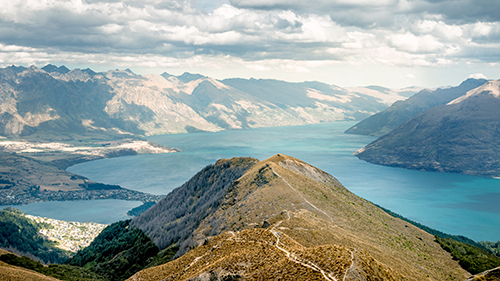 There is no shortage of natural beauty to take in when you visit Queenstown, so it’s the perfect opportunity to get outdoors and stretch your legs. Start your day with a relaxing stroll through the charming rose gardens and pristine lawns in Queenstown Gardens, and grab a take away coffee on the way. In the afternoon, you can walk 1.5km to the top of Queenstown Hill and be rewarded with the view of the sun setting over the city. If you are looking for something challenging, Queenstown has that to offer as well. The Ben Lomond Track is demanding climb which offers spectacular panoramic views at the summit. You can choose to take the Gondola cable car up the hill at the beginning or take the entire hike which will be a 6 – 8hr return trek. Queenstown is the adventure capital of New Zealand, so it is the perfect place to get your heart racing. The city is a must-visit for adrenaline junkies, and you can choose from a variety of extreme adventure activities. Choose from skydiving, jet boating, white water rafting, bungy jumping, or a combination package of many. 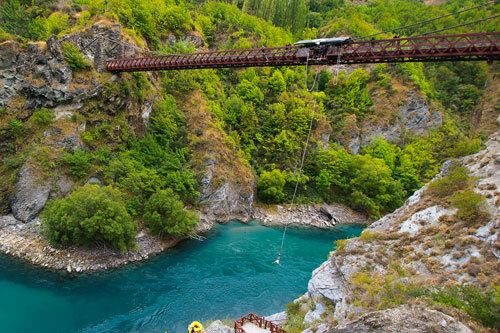 We recommend trying the Nevis bungy jump at AJ Hackett, the 134m drop is the longest in New Zealand, and it is definitely not for the faint-hearted! If you are visiting in the winter months, you’ll surely not want to miss a day or two on the slopes. The nearby mountains are perfect for skiing and snowboarding and offer some of the best experiences in New Zealand for action snow sports. 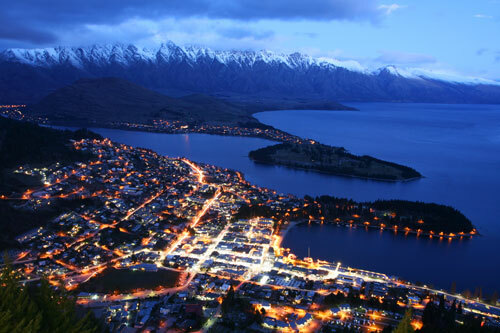 As well as being the adventure capital of New Zealand, Queenstown also holds the reputation of being the party capital. With the huge number of backpackers and youth travellers visiting Queenstown every year, you’ll be sure to enjoy the bar and club experiences if you are a lover of the nightlife. Head to Loco Cantina for cheap eats, cheap drinks, and DJs for your party nights, or Bungalow for a more sophisticated cocktail bar. For late night dancing with an artsy vibe, head to Vinyl Underground or Zephyr. There are also plenty of craft beer bars and pubs to experience in Queenstown, such as Atlas or The World Bar. Although it may seem like Queenstown is all go-go-go, it is also to the perfect place to simply relax, unwind and chill out. Take a book and chill out by the lake where you will be surrounded by people playing instruments and strolling through the park. 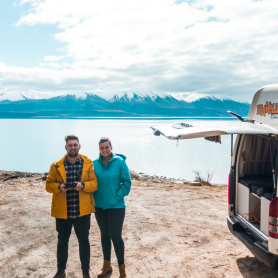 In the warmer months, you can go for a dip in the crystal-clear waters of Lake Wakatipu, with the natural beauty and energy of the region making it a perfect experience. Sore or tired from all your adventures? Treat yourself to a massage and spa package at the tranquil Onsen Hot Pools, where you can relax and take in the beauty of the surroundings. 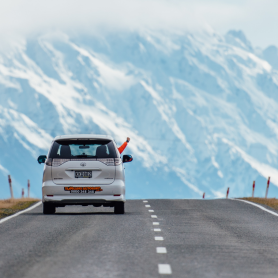 Queenstown is the perfect road trip destination. Located on the south-western side of the country, it is centrally located to many of the South Island’s must-see locations. 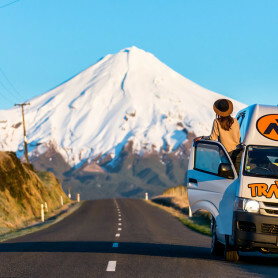 About a 6-hour drive from Christchurch, there are plenty of places to stop and see along the way. 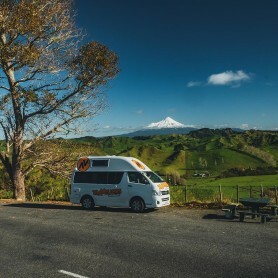 Check out a campervan hire from Travellers Autobarn New Zealand, and start planning your dream getaway today.